What is the poem, Circumstances Not, about? It has several meanings and more than one interpretation. I wrote this poem to encourage people who are suffering. It says that in time they can choose to rejoice. It was inspired by the scripture in which the Apostle commands Christians to rejoice. The wording of the scripture is woven into the poem. 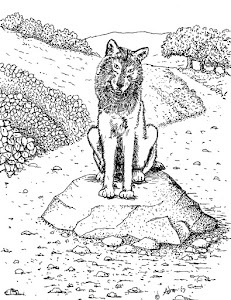 WHAT DOES THE POEM'S TITLE MEAN? In this book, all the titles are in two parts. 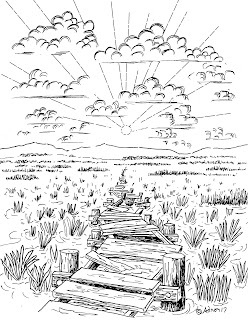 The title, "Circumstances Not," is vague on purpose, it could be a negative statement about circumstances or a denial of the effects of circumstances or the poem is not about the circumstances at all. The subtitle, "A poem of the Reason," is close to the main point of the poem that we are looking beyond our circumstances to something else. HOW IS THIS POEM ARRANGED? This poem is 17 lines totaling 78 words arranged as free-verse but not without structure. Lines 1 through 13 all use the same pattern of a word "Rejoice!" and followed by an example of the persecution the Apostle experienced. Line 14 is a summery exclamation, "So, yes, rejoice!" The last three lines explain why in all these situations we can rejoice. A reader who is familiar with the scripture, Philippians 4:4, will recognize a pattern in the poem that reflects the scripture. The last two lines tell us that we can find a reason for joy. Our joy is in someone who is greater than circumstances. Who Is Above All Things." I continued the theme of a road. 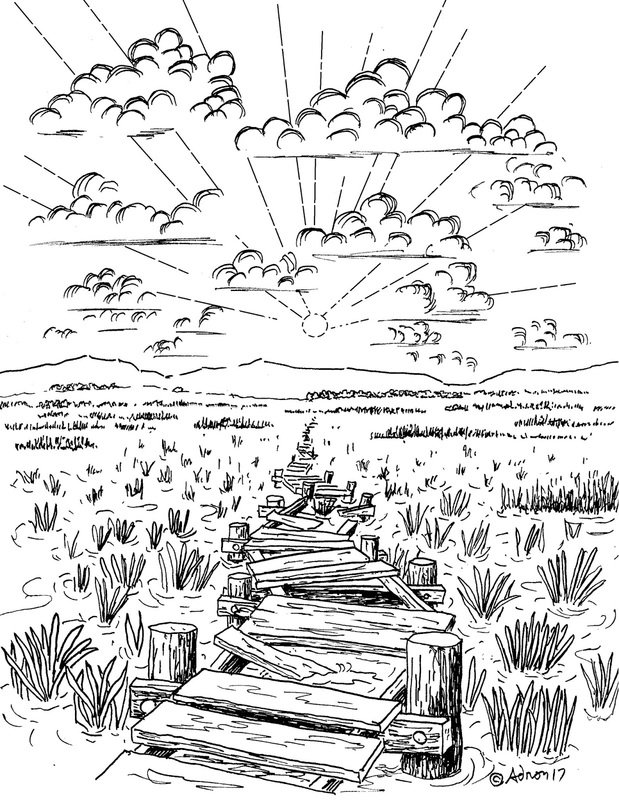 In this illustration, the road is a wooden walkway over a marsh, but the planks are askew or absent in places so the walk hazardous. It is to show a difficult circumstance. There is hope because the sun shines beyond distant hills. This poem fills an important place in this book about finding joy and hope. This poem encourages you by showing the Apostle Paul's joy in spite of his circumstances. The footnote on the page is the scripture, "Rejoice in the Lord always. I will say it again: Rejoice!" Philippians 4:4, NIV. 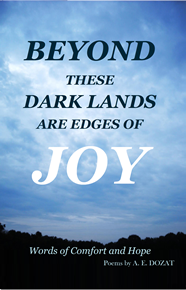 You can read the poem on page 14 of my book Beyond These Dark Lands Are Edges of Joy.